They always say people are buying in the spring and summer. School is out, relocating becomes more tangible, and the weather is conducive for going house hunting. Statistics show more people are buying when it’s warm, so you will likely have a larger pool of prospective buyers! Start with spring cleaning to prep your home, and get ready to list it sometime between April and June! You need to first ask yourself if you are financially ready to sell. There are costs associated with selling your home such as repairs, clean-up, and making it look nice. Do you need to move by a certain date? Or be able to get another mortgage for a new house? If so, this can add pressure which can stress you out and sometimes make you sell for less than you were planning on. As far as the day of the week, listing on a Saturday is favorable as that is when most people have the time to sit down and peruse listings. 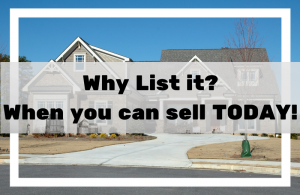 And since listings often appear with the newest ones first, getting yours at the top of the list will help you to get more views. 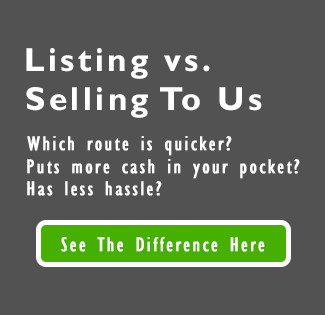 Listing on a Friday is the 2nd best way to go, statistically! In some parts of the country, houses are selling 1-3% higher in the month of May. Do your homework and research annual housing trends for your particular neighborhood! If you have questions, Gulf Coast Home Buyers is happy to help you review historical trends!